Welcome to Slow Cooker Saturday! Would you like a side of soup with your grilled cheese croutons? Sounds good to me. Er..I mean a side of grilled cheese croutons with your soup. Yeah, that is what I meant. 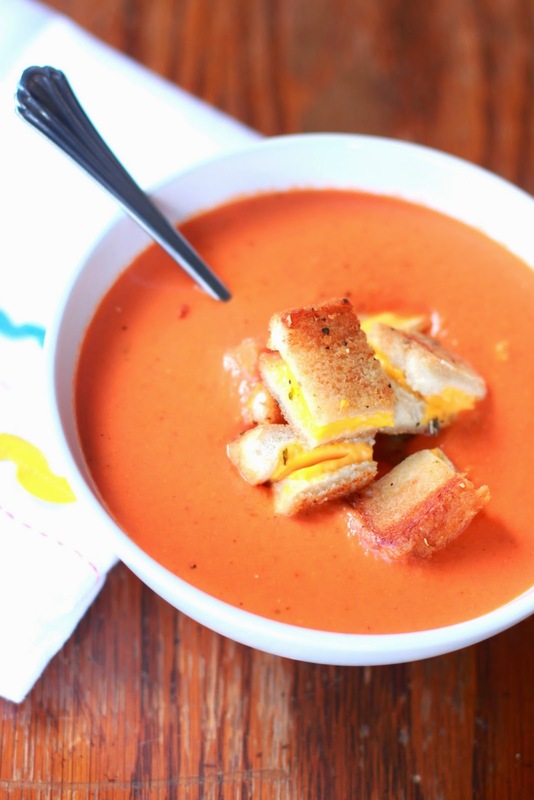 Either way, both the soup and the grilled cheese croutons are kind of fabulous. At our house we love ourselves some tomato soup and grilled cheese sandwiches. 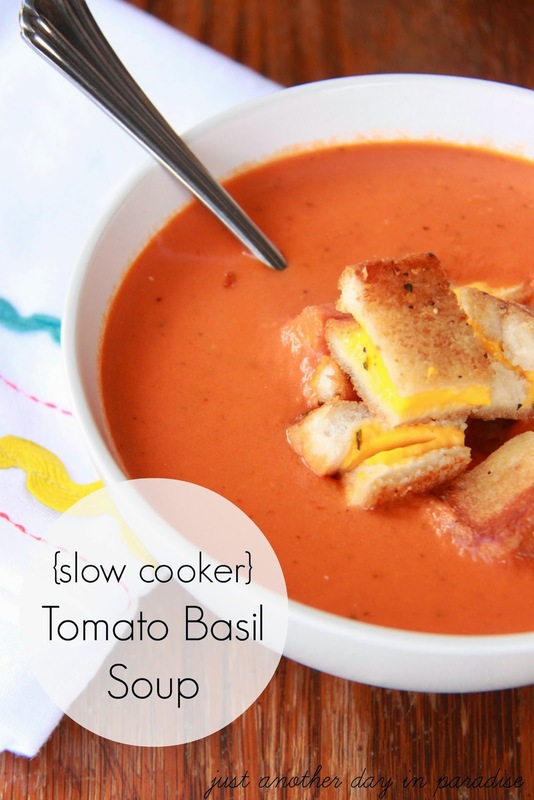 I really wanted to try and make a snazzier version of our typical open a can tomato soup. Yes, I just said we like our tomato soup from the can. I am not ashamed of it. Back to the snazzy version of tomato soup. I decided to try a tomato basil version that you can make in the slow cooker, and then I got all crazy and I decided that grilled cheese croutons were needed. The tomato soup just hung out all day in the slow cooker making my house smell divine. Once it was ready and just waiting to be eaten, I whipped up some grilled cheese croutons. I highly recommend making these if you make this soup. 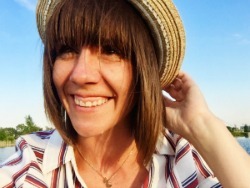 They are kind of like soul mates and it would be cruel to keep them a part. 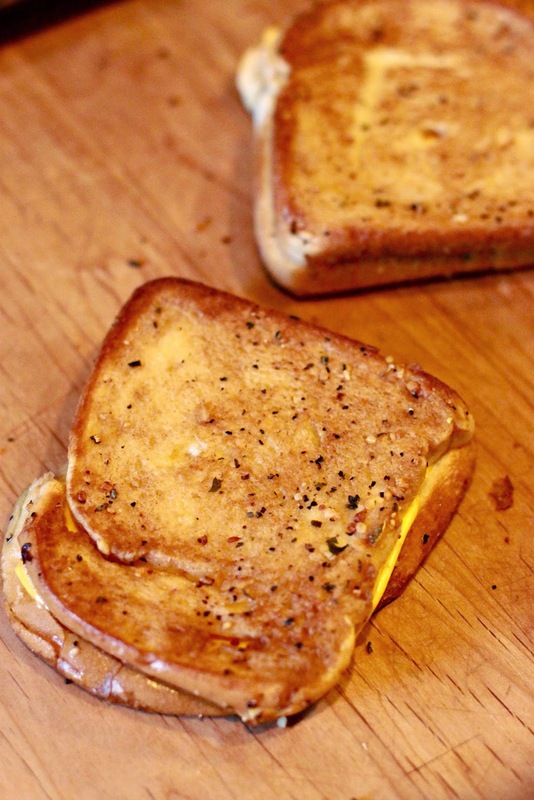 I like to make our grilled cheese sandwiches with this extra divine and extra special gourmet butter. Chef Shamy Gourmet Garlic Butter is kind of ridiculous. It should probably be a part of your life immediately. 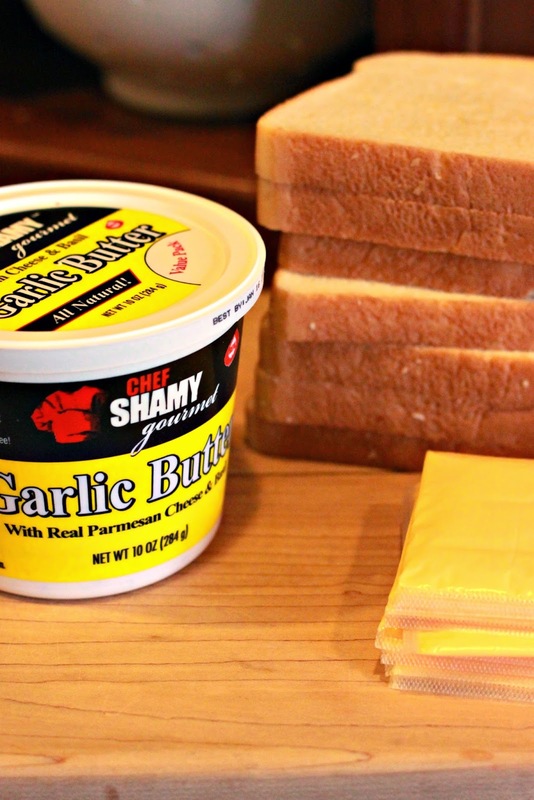 To make the grilled cheese croutons, simply gather up some good old white bread, some American cheese slices, and this butter. 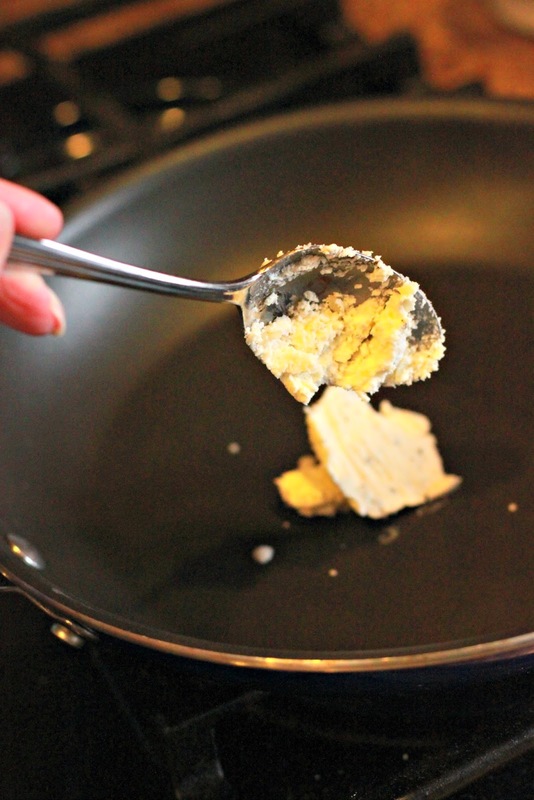 Drop a spoonful of butter into a hot skillet. Once it melts add in the bread and cheese (in sandwich form of course). Cook one side until golden brown. Add in a bit more butter and then flip the sandwich and cook the other side until it is golden and the cheese is melted. Keep on making sandwiches. I recommend making one per person. Then cut the sandwiches up in cubes. Give them time to set out and dry a bit. Only for like 15-20 minutes. I set them on a cookie sheet and just let them get dry and a teeny bit crunchy. You can let them set out longer, but I like mine still a little chewy. Now they are all croutony and ready to go on top of some Slow Cooker Tomato Basil Soup. **To make the tomato paste, saute 1 8oz can of tomato paste in a skillet with 1 Tablespoon of olive oil. Saute the tomato paste until it reduces slightly and turns a deep red. Heat up some olive oil in saute pan. Add in diced onion into the pan and cook until translucent, about 3-4 minutes. Add in garlic, basil, and oregano and cook for another minute. Slowly stir in flour and cook for another minute while stirring constantly. Take off the heat and transfer it to a slow cooker. Add in the tomato paste, crushed tomatoes, broth, honey, and salt. Stir and cover. Cook on low for 5-7 hours. Remove the lid and turn to high. At this point, use an immersion blender and blend the soup until it is smooth and creamy. Add in the heavy cream. Add salt and pepper to taste. Cook for another 10 minutes on high without the lid. Serve in a bowl topped with grilled cheese croutons. This looks amazing! 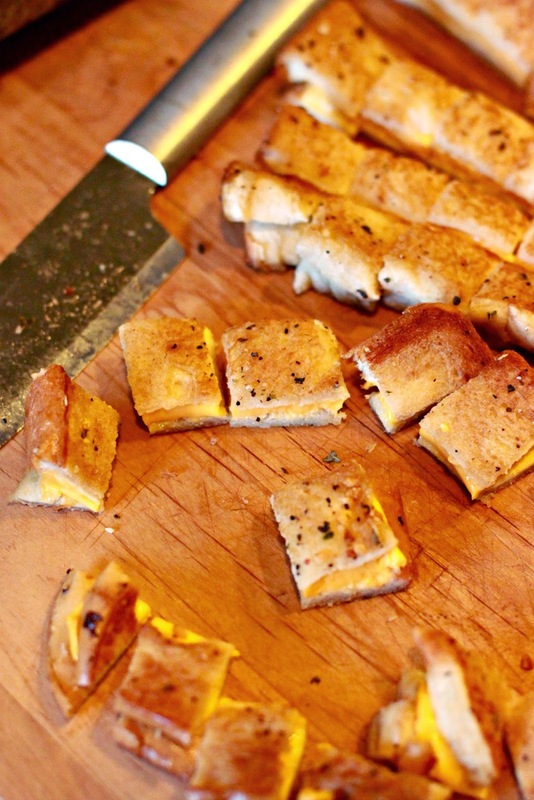 And my goodness - grilled cheese croutons?! Best. idea. ever! Oh my heck! When I tasted those croutons at Costco o thought I may have just died and gone to heaven! It was sooooooo good! Soup looks yummy too! I didn't know that Costco sold grilled cheese croutons! Another reason I am sad I don't have Costco!